How Can Social Signals Be Used? Social signals are the feedback that you receive from users on social media channels. For example, these can take the form of shares and likes on Facebook, tweets and retweets on Twitter, or a “+1” on Google+. Social signals allow users to offer a very direct response to your site content, and they are also becoming increasingly important from an SEO perspective. However, there is still some controversy regarding the actual importance of social signals as they pertain to search engine optimization. The importance of social media has continued to increase in recent years in both the private and commercial sectors. A share on a social media portal can improve the flow of traffic to your site while likes and comments in tweets allow unfiltered communication with your (potential) customers. This helps companies to gain an impression of their corporate image and allows them to respond to user comments with appropriate content. Social signals thus give some indication about content quality – but do they also affect site rankings? To a certain extent, there has always been a ranking impact. If the content is relevant, this may inspire a blog or another site to create a backlink, and we know that backlinks can positively affect Google rankings. Social media and its social signals therefore do seem to have an influence on traffic and how a site is evaluated by search engine algorithms. Of course, marketing strategists have recognized this too and are now trying to use social media and social signals for search engine optimization. Whether – and to what extent – it is really possible to associate social signals with SEO is hotly debated by experts. Several studies have found that social signals do have a direct impact on Google rankings. It seems that a site is deemed to be successful if its content is rated as highly relevant by Google and if it has also received a lot of likes and shares via social media. However, there’s still the question of whether these sites could have achieved the same prominent rankings simply because of the quality of their content and their volume of backlinks. In other words, could they have just accumulated social signals as a byproduct of their high rankings? According to Google, it has not been possible to incorporate social signals in its rankings because of the large amounts of data involved and the constantly changing user profiles on Facebook and other platforms. The only exception seems to be Twitter as this short messaging service has been collaborating with Google for some time. Tweets are treated as content that can be evaluated by Google and used for SEO. In summary, it can be concluded that social signals do have an influence on site rankings but that their overall influence on SEO is currently ill-defined. This doesn’t mean that they are useless for search engine optimization, but it’s important to accept social signals for what they are: a good indicator of the reach of a site. Large websites with a high Google ranking usually have a lot of relevant content and plenty of backlinks as both are crucial for securing a good position in Google search results. But these sites often have something else: large numbers of social media followers. This brings even more traffic to the site because anyone who has 10,000 fans on Facebook or Twitter will want to leverage that reach to lure visitors to their site on a regular basis. This results in social signals in the form of likes or shares that then encourage even more traffic. Ultimately, it’s a secondary issue whether these social signals directly affect rankings or merely function via the “detour” backlinks of followers. What is much more important is the impact that social signals can have on other users. Just like “real” user evaluations in online shops, social signals have a special effect on other people; they act as a trust-building measure. The reasoning behind this is simple: If this website has so many fans, it must be genuine, otherwise it wouldn’t be so popular. This effect is further solidified when fans can see from the like-box that some of their own friends have also liked the site. However, it’s important not to overestimate this effect. Just because a site has 100,000 Facebook fans does not necessarily mean that traffic will “go through the ceiling.” The site content must be correspondingly high-quality to justify such a large number of fans. Your following must continue to grow on a regular basis, otherwise 100,000 fans will quickly become 100,000 zombies, or inactive members who provide neither traffic nor social signals. Many companies that have tried simply “buying” Facebook fans have found that this approach gets them nowhere. 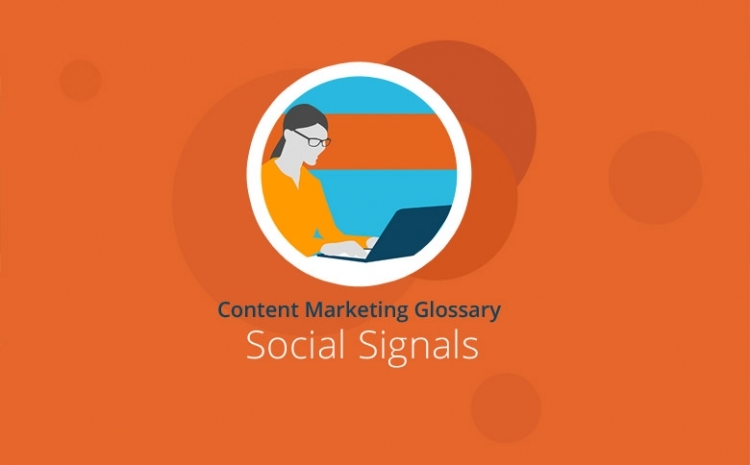 However, if social signals are properly integrated into a meaningful content and marketing strategy, this can create numerous new opportunities. High-quality content that is relevant and up-to-date can generate many social signals and result in a healthy Facebook page or an active Twitter account with many followers. This, in turn, can provide a solid foundation for further measures such as setting up a newsletter distribution list with the addresses of those interested in your services or products. Alternatively, it would also be conceivable to set up a direct marketing channel to supplement the regular sales channels. But even without such further action, this approach can take a company forward because social signals create trust, and trust is ideal for brand development and brand awareness. In addition, fans and followers can indirectly improve your website ranking by increasing traffic to your site and placing backlinks on their blogs or personal websites. Just like social media itself, social signals are not a miracle SEO secret weapon that can deliver excellent rankings in next to no time. However, the same generally applies to all other SEO measures, and a one-sided marketing strategy is hardly likely to be successful in today’s climate. In order to ensure successful search engine optimization, one has to rely on several approaches that interlock and complement one another. Social signals can thus improve your business success but only if they are combined with good content as well as active participation on social media channels and other SEO measures.